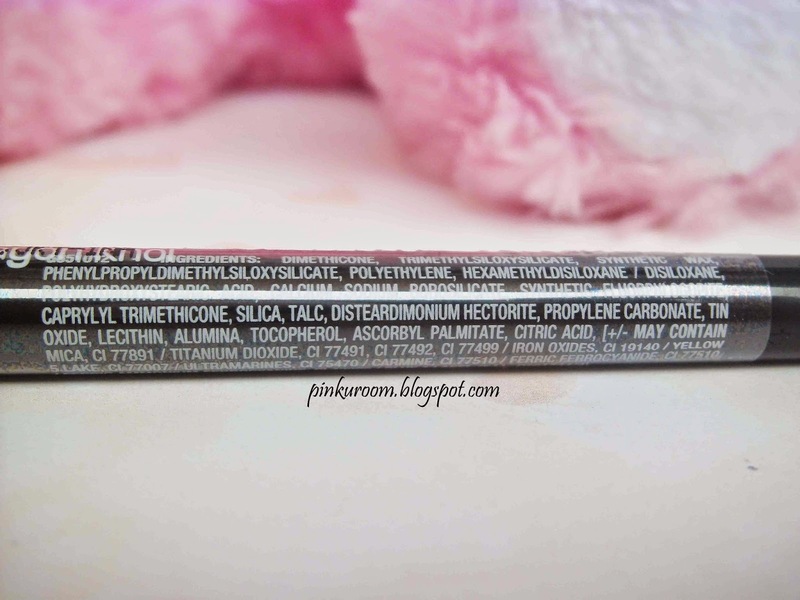 Today I want to review a super duper affordable drugstore eyeliner with good quality. 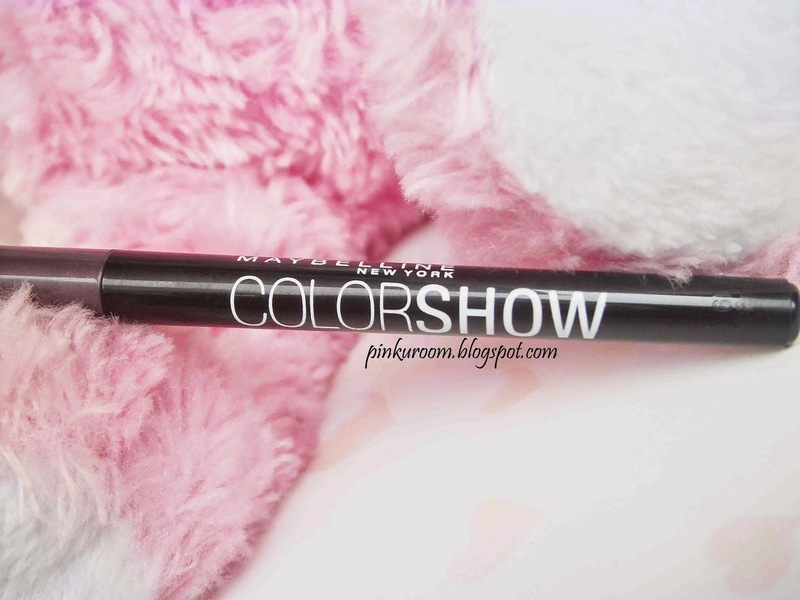 Maybe you guys already know that the price of Colorshow range from Maybelline is very very cheap. 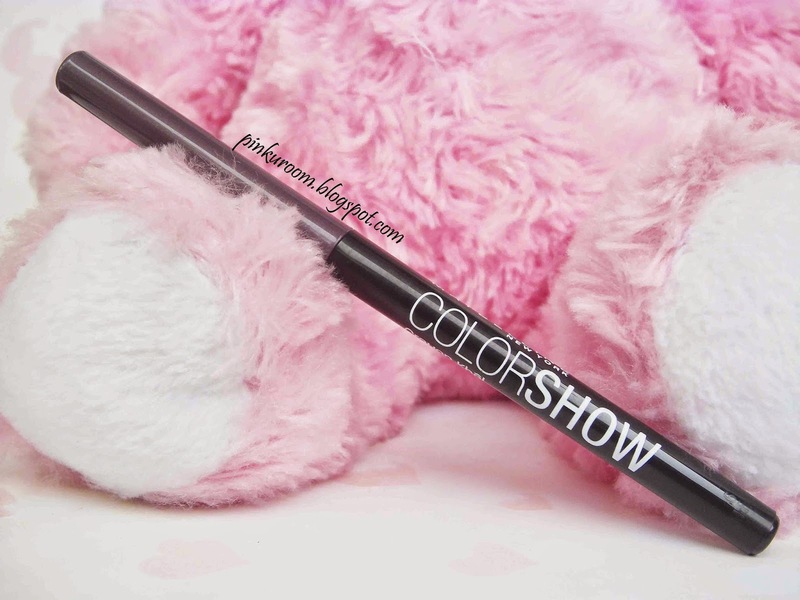 They have Colorshow lipstick, eyeliner, and nail polish, you can get them each for IDR30k only~!! 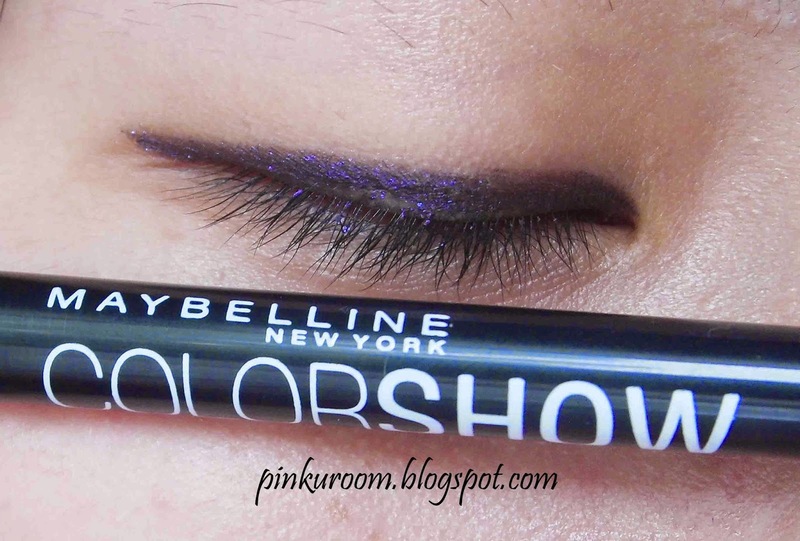 The colorshow eyeliner has 6 colorful shades to choose : black, gold, purple, dark blue, orange, and turquoise. The packaging is made from plastic, slim and light. The twist is loose and not tight so when you applied the eyeliner, it will go inside again and you have to twist it over and over. That's what I don't like from this eyeliner. 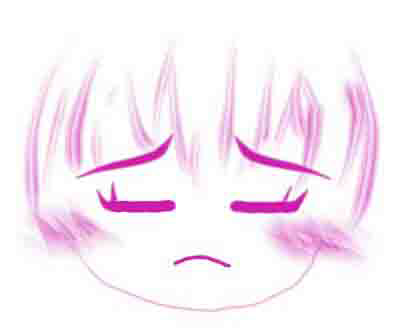 The color turns to dark purple. 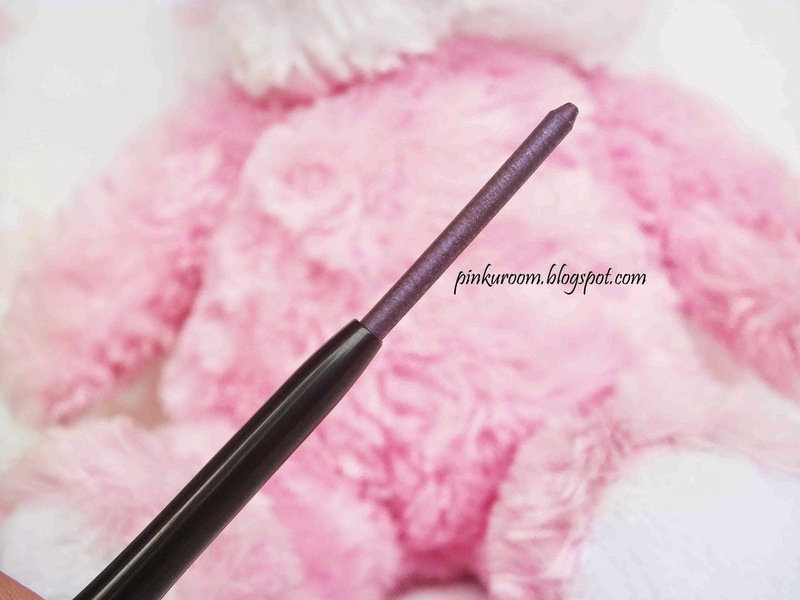 It has shimmer and the texture is creamy. 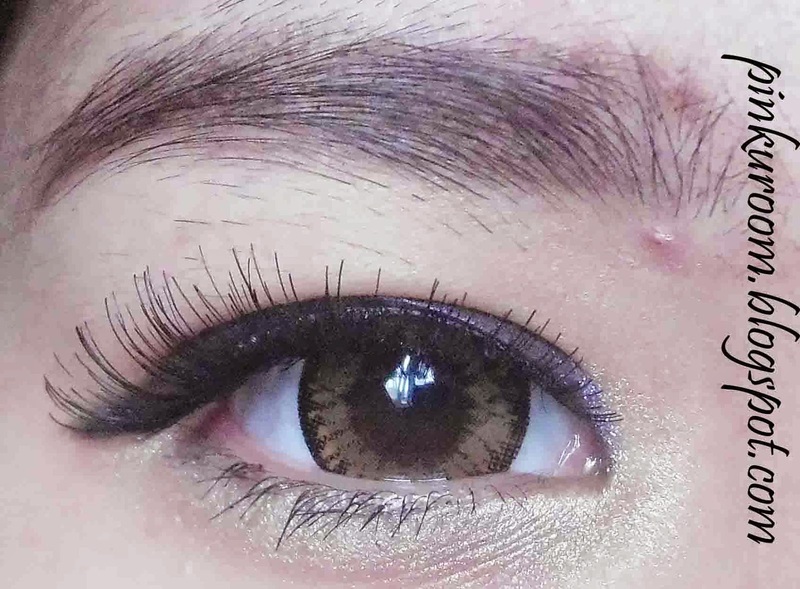 It's like I'm using general black eyeliner but looks softer and not too thick, enough to add dimension for bigger eyes looks. 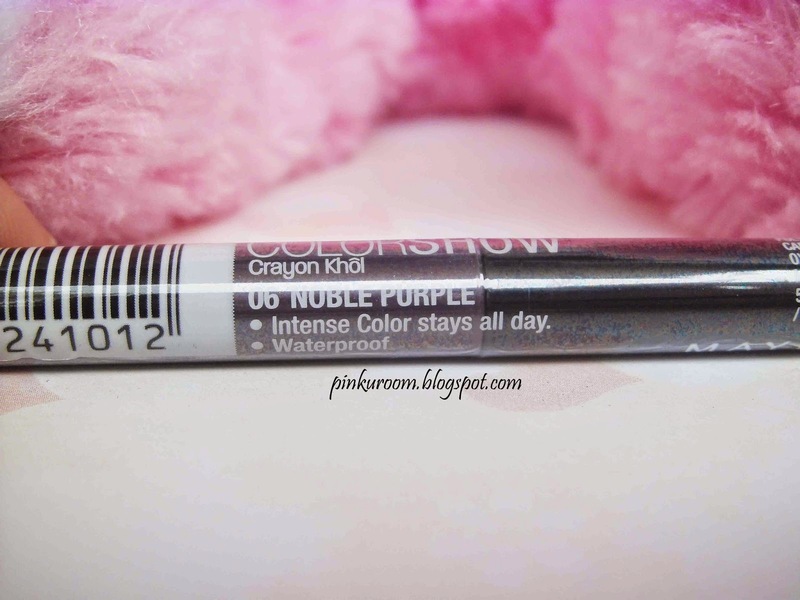 I really like this eyeliner and the first reason is because of the price and second, it's easy to get. 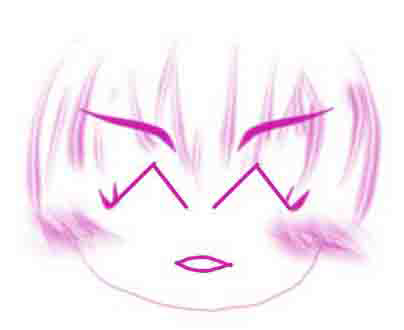 It's waterprood and easy to apply but crayon type eyeliners is not my favorite. I prefer use gel eyeliner or liquid eyeliner. Why? Warnanya bagus ^^ Suka deh!